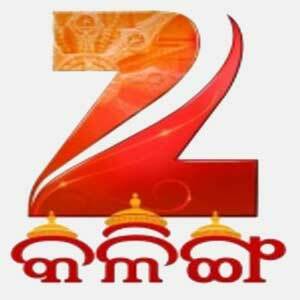 Much awaited premier 24×7 infotainment Odia channel Zee Kalinga launched yesterday on 3rd Februray 2014. This channel is from Zee News Media Corp (ZMCL). It replaces Telugu language Zee 24 Gantalu which discontinued its operations in November 2013 as Zee News found the Andhra Pradesh market to be a highly competitive market. As part of its new format of Terrestrial Entertainment Network (TEN), the television news group has launched Odia language Zee Kalinga to tap viewers in the state of Odisha. In the TEN format, the programming is equally divided between news and non-news shows. News will have several bulletins, chat shows and factual entertainment capsules, while non-news will have four fiction shows and two reality shows. Some of the non-news shows are Asha Ra Akash produced by Urmi Communications, Katha Ta Etiki by Shri Ganesh Telefilms, Abhinetri by Vidisha Kraft, Mo Jejemaa by Herald, Maa Raan Micha Kahuni by Asian Shopping Club and Mr. and Miss Kalinga by Prelude Novel Ventures. Three dubbed non-news shows are also to be aired – Bikram Betaal, Ramayana and Buddha. The channel has been in preparation since six months and all it had to do was to apply to the Ministry of Information and Broadcasting (MIB) for converting its news licence from one channel to another. The approval from the MIB came through in January this year. ZMCL has hired around 100 employees for the Odia channel, with Amitava Bhattacharya as EVP, Satya Prakash Nayak as Resident Editor, Arjya Patnaik as Programming Head and Aryabhatta Dash as Marketing Manager. Zee Kalinga will have its main office at Bhubaneshwar and bureaus in Sambalpore, Behrampore and Balasore. Now Zee Kalinga available on Ortel, Variety, Manthan and most other local cables. On DTH, it is live on Dish TV and Airtel Digital. this chenel r very good.